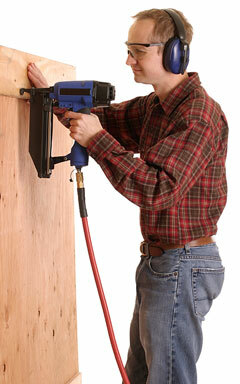 Air tools, also called pneumatic tools, belong on the tool shelf of every carpenter, mechanic, and do-it-yourselfer. Air tools are available for almost every job. Common air tools used by carpenters and woodworkers include drills, grinders, and nail guns as well as routers, sanders, and saws. 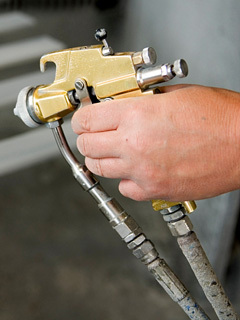 Mechanics frequently use pneumatic tools such as ratchets, wrenches, and tire inflators. Paint sprayers and impact hammers are used by woodworkers, house painters, and carpenters alike. In short, most common electrical power tools also come in air tool versions. Makers of commercial-quality air-powered tools include Ingersoll Rand and DeVilbiss. 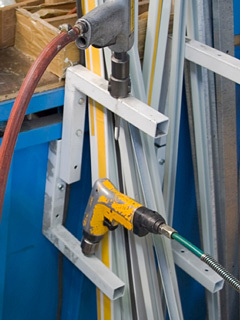 Hutchins Manufacturing produces air-powered sanding and surface preparation tools, while Chicago Pneumatic produces a variety of industrial-grade air tools. 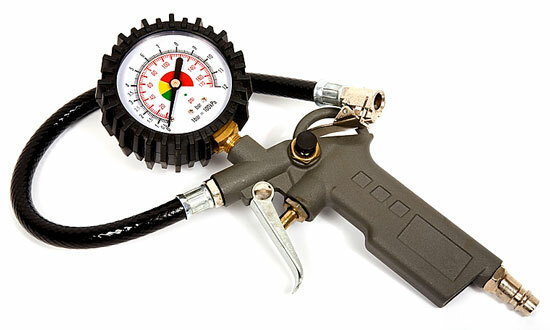 Match the air pressure on your compressor to the air pressure required by your tool. You should be able to adjust the air pressure output by your compressor so you can use it with a variety of tools. Buy air hoses specifically made for your compressor so you get a tight seal between the hose and the compressor. If you don't think you will use air tools enough to justify buying your own compressor, you can always rent both air compressors and air tools from a tool rental shop. Lightweight. Air motors are smaller and lighter than electric or hydraulic motors. Powerful. They typically offer more torque and power than electric tools. Durable and longer lasting. Air tools are the only tools that are still made with steel casings. In addition, they have fewer moving parts than conventional tools, making them more durable. Easy to maintain. Because air tools have few moving parts, an occasional light oiling is the only maintenance they usually need. Easy to use. Just connect the tool to your air compressor and begin working. Cost-effective. Although you must invest in an air compressor as your power source, air tools don't include their own electric motors, and thus tend to cost less than conventional tools. Follow the manufacturer's guidelines for maximum air pressure, or the tool could explode. For tools such as grinders and cutters, follow the manufacturer's guidelines for maximum speed. Wear eye protection to guard your eyes against flying debris. Wear ear protection. Both the air compressor and the tool itself are noisy. Air tools are durable and long-lasting, making them a cost-effective addition to your home workshop. For more information about air tools and air compressors, visit Bob Vila's Compressed Air Tools page. To learn about the benefits and uses of compressed air in a variety of settings, visit the British Compressed Air Society website.